Quality sashes can certainly add a lot of value to your home. These structures are beautiful, built to last and capable of providing a range of energy-saving benefits. This is all the more true when you opt to invest in the services for sash window draught proofing London companies supply. Following are several reasons why it is absolutely vital for modern homeowners to take advantage of these cutting-edge and incredibly effective treatments. These treatments are designed specifically for increasing overall home comfort and boosting the efficiency of all treated window structures. With quality draught proofing services, homeowners can additionally improve their indoor air qualities, limit the demands on any existing home heating and cooling systems, and minimize overall wear and tear on these incredibly important investments. Once treated, these units will provide a much more effective barrier against the outside air. One surprising benefit that your household can gain from these services is a dramatic increase in noise control. 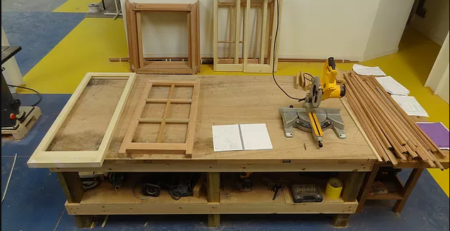 If you have a lot of noise pollution in your neighborhood, simply having your sash windows draught proofed can make your abode a significantly more pleasant environment overall. The sounds of passing cars, pedestrians, playing children, local music, and other intrusive noises will appear to be much more muted. This way, you can enjoy a good book in peace and quiet. 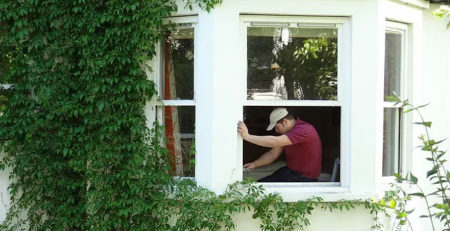 You may think that this process is as simple as adding weatherstripping or some other, secondary component to simply better seal the windows off. A good sash window company, however, will do far more than this. These entities enhance the entire window structure with a complex system that is designed to keep drafts, noises, particulates, and other elements out. Thus, although you can certainly attempt to add draught protection on your own at home, it will hardly compare to the enhancements that a licensed, reputable and experienced company will provide. When it comes to making any additions or improvements to your sashes, you also want to think about how a self-managed effort might compromise both the long-term and overall integrity of these structures, and the warranty that your original installer has supplied. At the end of the day, it far cheaper, easier, and much less stressful to simply let professionals get the work done. When you hire the right company, you can look forward to both superior workmanship and totally transparent pricing. Your provider can install a comprehensive system for draught proofing your London windows that does impact the aesthetics of these structures or the building entire. As a result, they will only add more value to your property, which is in fact, yet another way in which these treatments are fully capable of paying for themselves. You will see the upfront benefits of an increased overall property value as well as the long term gains made by energy savings. You will also have the personal satisfaction of experiencing a significant decrease in your carbon footprint due to less use of your indoor heating and cooling system. People who live in older, dated properties often maintain sashes in an effort to preserve the authentic appeal of the original architecture. For instance, you might live in a Victorian home, an Edwardian home or a Georgian home. If you do, this aged building probably lacks the modern ducting system that is necessary for supporting a central HVAC system. In instances such as these, it is absolutely essential to have sashes draught proofed. This will make these units much more effective at creating and maintaining the perfect, ambient environment indoors. One very vital thing to know about these services is that they are an all-inclusive treatment affecting every aspect of your windows. Your provider will do more than simply draught proof these systems. As part of these efforts, all instances of wood rot, framing issues, broken cords, imbalanced weighting systems and other issues will be addressed. Moreover, a reputable, ethical company will finish this work off by touching up or reapplying all paints and finishes that are both necessary for protecting these structures and for ensuring optimum aesthetics. There are even times when your provider will refresh the entire look of your sashes by incorporating new hardware and other cosmetic elements. As a result, these services will make your home more marketable and add to the all-around lifespan of your sashes as well.